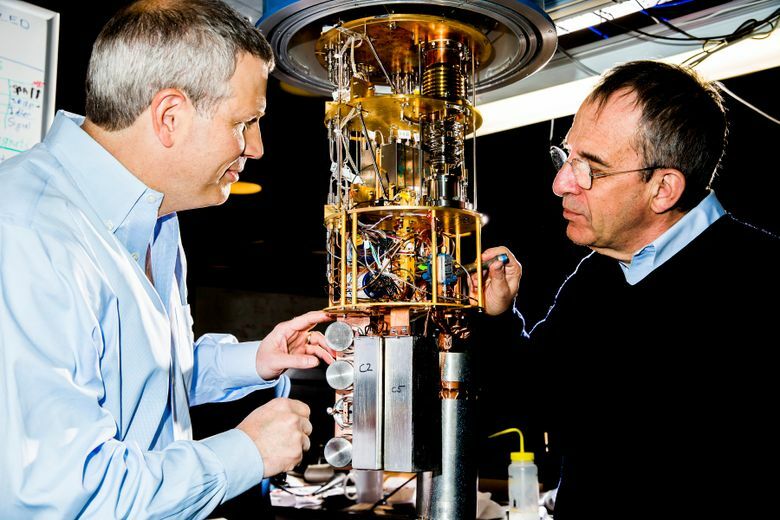 SAN FRANCISCO — Robert Schoelkopf is at the forefront of a worldwide effort to build the world’s first quantum computer. Such a machine, if it can be built, would use the seemingly magical principles of quantum mechanics to solve problems that today’s computers never could. Three giants of the tech world — Google, IBM and Intel — are using a method pioneered by Schoelkopf, a Yale University professor, and a handful of other physicists as they race to build a machine that could significantly accelerate everything from drug discovery to artificial intelligence. So is a Silicon Valley startup called Rigetti Computing. And though it has remained under the radar until now, those four quantum projects have another notable competitor: Robert Schoelkopf. After their research helped fuel the work of so many others, Schoelkopf and two other Yale professors have started their own quantum-computing company, Quantum Circuits. 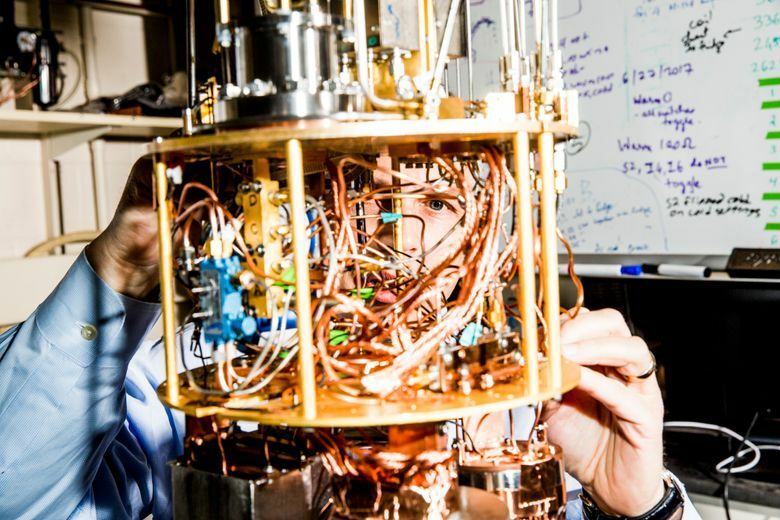 Based just down the road from Yale in New Haven, Connecticut, and backed by $18 million in funding from the venture-capital firm Sequoia Capital and others, the startup is another sign that quantum computing — for decades a distant dream of the world’s computer scientists — is edging closer to reality. Quantum-computing systems are difficult to understand because they do not behave like the everyday world we live in. But this counterintuitive behavior is what allows them to perform calculations at rates that would not be possible on a typical computer. The trouble is that storing information in a quantum system for more than a short amount of time is very difficult, and this short “coherence time” leads to errors in calculations. But over the past two decades, Schoelkopf and other physicists have worked to solve this problem using what are called superconducting circuits. They have built qubits from materials that exhibit quantum properties when cooled to extremely low temperatures. These superconducting circuits have become the primary area of quantum-computing research across the industry. One of Schoelkopf’s former students now leads the quantum-computing program at IBM. The founder of Rigetti Computing studied with Michel Devoret, one of the other Yale professors behind Quantum Circuits. The belief is that quantum machines will eventually analyze the interactions between physical molecules with a precision that is not possible today, something that could radically accelerate the development of new medications. The deck is stacked against the smaller players, because the big-name companies have so much more money to throw at the problem. But startups have their own advantages, even in such a complex and expensive area of research. Though Quantum Circuits is using the same quantum method as its bigger competitors, Schoelkopf argued that his company has an edge because it is tackling the problem differently. Rather than building one large quantum machine, it is constructing a series of tiny machines that can be networked together. He said this will make it easier to correct errors in quantum calculations — one of the main difficulties in building one of these complex machines.